Home Recording and what I’ve learned the hard way! 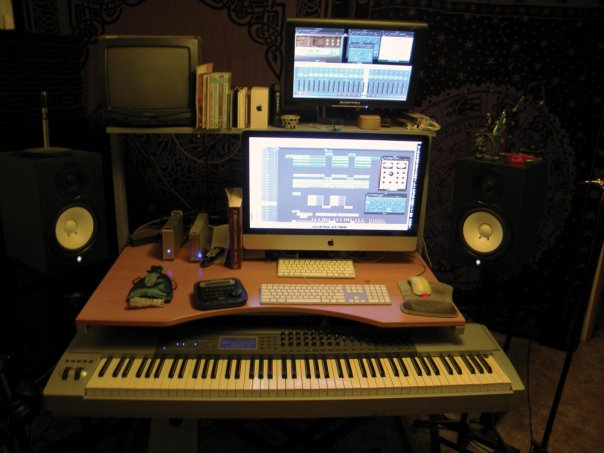 My goal here hopefully, is to pass along information for those who are interested in recording Music at home. It’s a passion of mine that I’d like to foster into a teaching position some day, Retirement? With over two decades of RTFM I’ve learned a lot by trial end error and trial by fire. I’ve been recording music at home since I was in High School, bouncing stereo left and right channels between 2 Blasters. I still have 6 and 8 track recordings from that time period. The sound is so decayed from bouncing from blaster to blaster it’s horrible! Back in the day it was brilliant! Your Musician friends thought you an exceptional intellectual. I purchased my first true 4 track recorder when I was 15 and caught the recording bug in a large way. I hid it from my father until I moved out, he loathed me playing music. Dad was a Contrabass Tuba player., he didn’t even like Elvis the poor soul. This Tiny Tascam recorder recorded some brilliant sounding tracks. 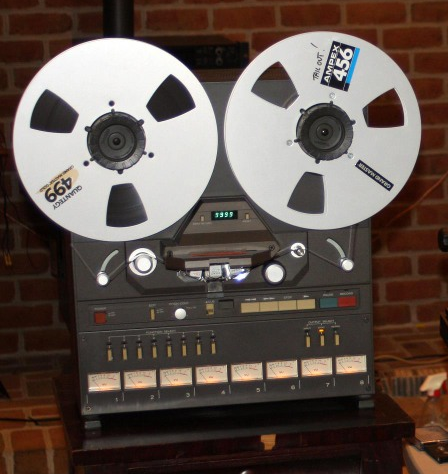 Bruce Springsteen recorded Nebraska on a Tascam Portastudio. I still have a handful of “masters” that I’d like to bounce into Pro Tools. Unfortunately I would need another Tascam recorder to make this happen. I suspect the Masters are to far degraded. The way these cool recorders work(ed) was by using both sides of the tape. A cassette tape has a stereo right and stereo left channel on each side, 4 tracks total. It ran at a higher speeds which gave more sonic clarity resulting in higher audio definition. 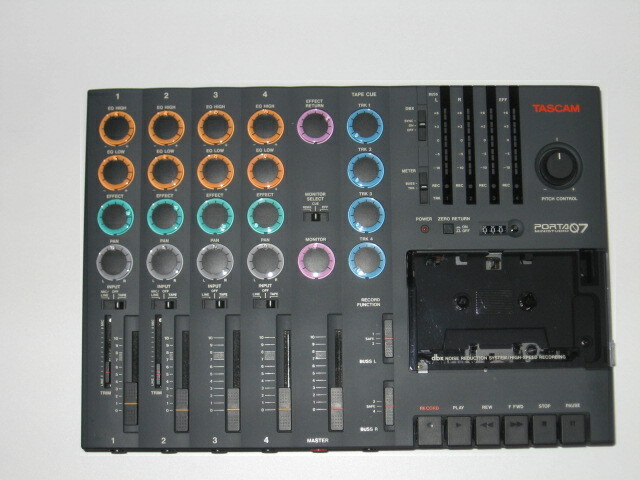 Tascam was innovative enough to look at how to create something that was an unknown industry. Guitar Center as of today sells 653 Home recording products online with a Price Range of $14.99 to $98,050.00. I would imagine the revenue is a large number. What I picked up along the way as a teen still holds true today: Get a good sound going into the microphone or it will sound BAD. 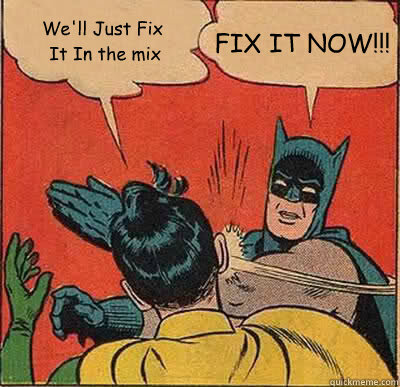 To many DAW (Digital Audio Workstation) users just record and try to fix it in the mix. It never worked as well when I was in high school and it doesn’t work well today either. My next step up in the world of recording came in the form of an ampex 1/2 reel to reel 8 track recorder. I purchased this used from the recycler (the de facto publication in Los Angeles for any musician from gear to gigs). This was really important to me because I could use more than 4 microphones on a drum kit. The result of having a full additional 6 tracks for other instruments and vocals was amazing.That was geek heaven in the late 80’s, I was a happy boy! I quickly understood that one mixer and a recorder wasn’t enough gear. I had no idea that drums would bleed over into each others tracks, something the little 4 track didn’t have an issue with. It didn’t sound good enough to even notice. Not so with the 8 track, I had to scrimp and save enough money to buy some noise gates to thwart this mischievous byproduct of sonic clarity. This was money I wasn’t planning on spending and the G.A.S. (gear acquisition syndrome) began! It is my Kryptonite. Learning to mix and master for myself was very challenging, Most people have no idea how much work goes into an albums worth of music. I’ve learned how to do it twice. Once on tape and once on DAW. I think it’s harder to mix on a DAW because there is so many more options to “tweak” in the signal path. It’s so much more time-consuming that I don’t master most of what I record. I don’t have the time or the patience for my own music unless it’s going to be “put out there.” My ears fatigue long before a mix and master is done, it takes days. A 2 D converters and the microphone pre-amplifiers. I know people will say “the microphones are the most important piece of gear”, in my travels this has not proved true. I’ve also learned your work space must be comfortable to create in. These days I record live blaring over-driven guitars with the amps in the same room as the monitors without using headphones. I don’t like headphones, they’re uncomfortable and distract me. I’ve given up the master bedroom in my home, but I have the space I’ve always dreamed of having to record. I’ve experienced the most fun here because I’m not starved for elbow room. I can have my “wall of sound” Mic’d up with 6 microphone stands in the room and still get around without the dominoes falling. Third, Avoid using USB 1.0 or 2.0 for any audio interface unless you’re prepared to buy Apogee which is pricey. Stay with Firewire or Thunderbolt, you shouldn’t suffer latency issues with that technology. Latency is a measure of time / delay experienced between the ears and fingers / Voice. Do you really want to hear the vocal come out of the headphones 300 Milliseconds later when you sing it? Probably not, unless you like playing music with an annoying echo. Fourth, decide right from the get go if you want to record live drum kits or not. You need more mic pre’s to record drums, I use 10 microphones when I record live drums. Fortunately I have a MOTU 896HD that’s been fully modified by Black Lion Audio. With 8 built-in Mic pre’s and ADAT optical fiber-optic (yes what the Internets run on) utilizing an additional 12 Mic pre’. It gets the job done and done well. Most Microphones / Preamps for drums are not expensive to get a decent sound. I do have a kit in the live room (aka the tiny middle bedroom) but it’s not an expensive drum kit (my most awesome son is cool enough to donate his and play when daddy needs a drummer). 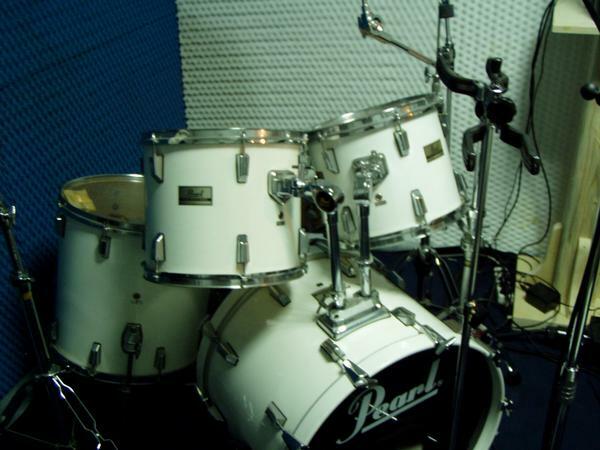 The Pearl Export is an entry-level professional kit. You can always go into a commercial studio for drums and finish the rest in your sacred space. These are some things I’ve learned about Home Recording that I hope are helpful to anyone who reads this. Good luck to you and keep making a sound! 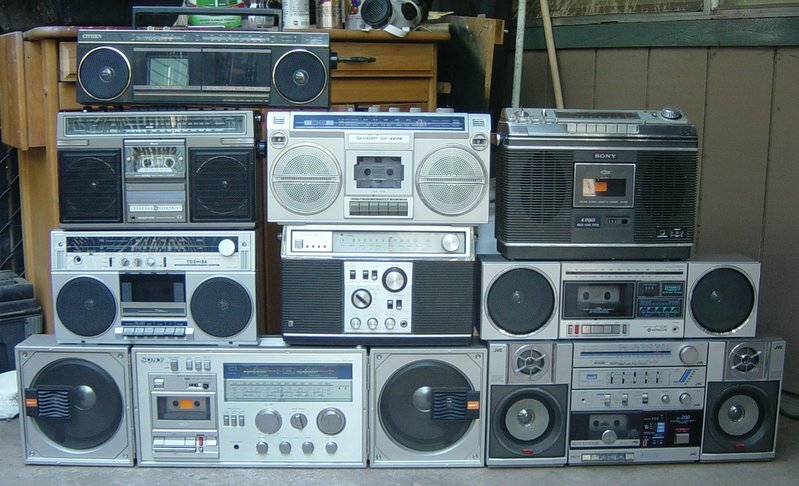 Awesome I think I had the Porta 5 by Tascam. I had so much fun with that thing! Me too! I wish I would have kept it now.